Featured Image: Rahul Gandhi paying homage to Bengali Language Martyrs at Bhasa Shahid Smriti Soudha in Silchar on 04 March 2016. Photo courtesy his FB. ON the day when Chief Election Commissioner, Nasim Zaidi, announced in New Delhi the schedule for Assembly elections to the four states including Assam, and the Union Territory of Puducherry, Rahul Gandhi, was busy hobnobbing with a select group of civil society members in south Assam’s Silchar. With chief minister Tarun Gogoi sitting at the back along with the Assam Congress president, Anjan Dutta, Congress general secretary in charge of Assam, C P Joshi, and the chairman of the Congress campaign and manifesto committee in Assam, Pawan Singh Ghatowar, Rahul Gandhi was throughout on his feet negotiating a wide range of questions in a hour long interactive session, captioned Development of Barak Valley- The Way Ahead. In her opening remarks to the select group of participants drawn from a cross section of professions, social background, and ideological leanings, the moderator of the session Silchar Congress MP, Sushmita Dev, urged upon everyone not to ‘keep confined within the local issues only’. Accordingly, from the current controversies around JNU and Rohit Vemula to the micro problems like super specialty health care at Silchar Medical College and Hospital or the hellish road condition in Barak Valley, everything figured on the agenda. But clearly, uppermost on the significance was the vexed issue of citizenship of the Bengali Hindu migrants from Bangladesh in the post-1971 stream. To a straighter to Rahul Gandhi as to whether Congress was ready to support any legislation to grant citizenship to the Bengali settlers in Assam, he appeared non-committal, and instead, left the policy decision to the chief minister. Gogoi, not to be outsmarted, was forthwith with his stock reply that such an affirmative decision had long back been taken by his Cabinet and referred to the Centre for consideration. Now the question is ~ is this rather unequivocal positive response from the three time Congress chief minister any reason to rejoice for the Hindu Bengali settlers in Assam, who are otherwise facing statelessness along with their Muslim Bengali counterparts once the ongoing process of preparation of National Register of Citizens was drawn to its logical conclusion? The answer is perhaps no. As the indications suggest, Assam will go to polls on 04 and 11 April with this citizenship question remaining unsettled. And that is the most comfortable situation for all the major political parties in Assam, national and regional alike. Last Thursday, just one day ahead of the declaration of the poll schedule, BJP and the Assamese nationalist party, Asom Gana Parishad, were successful in forging an electoral alliance. By that pre-poll understanding, 24 seats were given away to AGP out of the 126 at stake. BJP is already in a poll pact with the Bodoland People’s Front, the erstwhile partner of Congress, for the 16 seats in the Bodoland Territorial Council jurisdiction. Given the win-loss set up in the complex demography of Assam, a political party has to take a clear call on all controversial issues. In the instant case of uncertain fate of the Bengali settlers in Assam, BJP had two mutually exclusive options. One: to carry forward the twin notifications of 07 September 2015 by the Union home ministry, allowing the stay of Hindu Bengali migrants in India, to its legislative conclusion. In that case, the party had to incur the wrath of the Assamese middle class in Upper Assam, traditionally a Congress bastion, where BJP had done exceedingly well in the 2014 Lok Sabha polls. 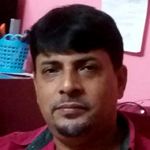 Two: to forget the Bengali citizenship issue and get along with the Assamese nationalism, which has by far charted the political course in Assam. In clinching the alliance with AGP, Amit Shah and Sarbananda Sanowal have obviously opted for the second alternative. As Nobel laureate in Economics, Paul Anthony Samuelson, would say ‘choice reveals preference,’ BJP has without any dithering preferred Upper Assam over Barak Valley. Poll pundits would surely find this patch up sans any psephological raison de etre, given the extreme form of existential crisis AGP as a political formation is facing today. Since 1996, the last time this regional party came to power in Janata Bhavan in Dispur, the electoral prospect of AGP has been steadily on the downhill in all subsequent elections in terms of both seats won and vote share. In the 2011 Assembly elections, AGP could manage only 10 seats with a vote share of 16.29 per cent. It’s worst ever performance was recorded in 2014 Lok Sabha polls, in which it drew a blank with a meagre vote share of 3.8 per cent. Even as AGP last year celebrated 30 years of its formation with several introspective exercises drawing sustenance and inputs from the Assamese intelligentsia, nothing has happened on the ground since then to suggest that this ‘party of the Assamese’ in whom the nationalists saw the ultimate emancipation during the mid-‘80’s, is required to be reckoned with. The obvious question is then why BJP, fresh from its brilliant performance in 2014 general elections followed by another splendid display of electoral success in the 2015 Assam civic polls, needs a morbid AGP to play the second fiddle in the upcoming Assembly hustings? Why can’t BJP dare to go alone to take on the one-and-a-half-decade of anti-incumbency of Congress and Tarun Gogoi? The answer lies not in electoral, but ideological support. A robust BJP does not perhaps require the seats of AGP to add to its kitty in the 16th Assembly. What it urgently needs at the moment is a loud and clear message to the Assamese middle class that BJP is very much with the chauvinistic core of Assam. AGP, its gloomy electoral prospect notwithstanding, is still the vanguard of Assamese sentiment and aspiration. BJP surely cannot undermine this critical electoral factor. Hence, the BJP-AGP tie-up. BJP’s official statement soon after the formal announcement of the alliance that, the Assembly election in Assam would be a contest between ‘all indigenous people’ led by it on one side, and the Congress and the AIUDF on the other, poignantly draws the battle line. It’s the ‘us’ versus the ‘other.’ And the Bengali issue cannot just be accommodated in the conundrum. The reaction from the Union minister Ravi Shankar Prasad that the proposed citizenship status to the Bengali settlers ‘is not an issue now’ thereby, springs no big surprise. Interestingly, this emerging scenario is readily acceptable to the Congress as well. Ever since BJP brought in a religious angle to the refugee issue, Congress already was in a fix. It was increasingly becoming a difficult proposition for them to take a position on the home ministry notifications. While for BJP it’s very easy to take the Hindu side, Congress, badly seeking the support of both Hindu and Muslim settlers just cannot take a decisive call either way without risking half of its support base. Now that BJP has finessed the Hindu Bengali card in the dummy hand of AGP, Congress too knows it no more requires covering the trump. With both Congress and BJP happily poised ahead for the Assembly polls, the citizenship question clearly is on nobody’s agenda.